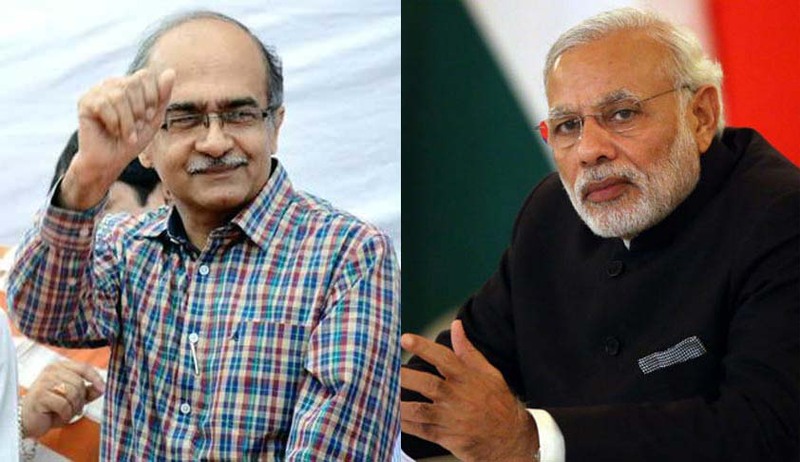 In a letter addressed to Prime Minister Narendra Modi, lawyer and activist Prashant Bhushan has demanded a complete ban on use of all animals in circuses. The letter draws the PM’s attention to the “barbaric exploitation” of animals in circuses of India. It highlights instances such as hooks being pushed deep into the skin of elephants causing permanent nerve damage, wings of birds being cut, permanent tissue damage to horses because of their nose being pierced, and female dogs being used as puppy producing machines. “Animals are every day mutilated, starved; beaten and forcefully bred. These poor souls are born and die in captivity. Can you imagine the pain if someone spends their entire life chained to 10 square feet? Not to mention the wrong message they give to our coming generation. The children (for many, circuses are the first real interaction with animals) start feeling that it is natural for elephants to stand on stools, for birds to balance on balls and for dogs to jump through hoops of fire. It is not natural for animals to perform such tricks. Animals only do this because they are beaten, tortured and starved into submission. Use of animals in circuses is simply institutional cruelty and in the 21st century modern India, this is simply unconscionable and cannot be tolerated,” Mr. Bhushan writes. He relies on a similar ban in countries such as Singapore, Austria, Mexico, Poland and Greece, and draws his attention to one of the most famous circuses in the world- Cirque du Soleil, which does not use any animals and yet pulls in millions of people every year. “The point being – it is not essential for circuses to have animals and they are just as entertaining with performing artists,” the letter hence asserts.